The big advantage of this three-pack of the smoke and carbon monoxide detector is cross-device communication. If one Nest Protect detects smoke or carbon monoxide, the other two devices will also sound their alarms, allowing you to react to emergencies more quickly. The Nest Protect’s sensors have a lifespan of up to 10 years, so your family home will be protected for the foreseeable future. Its additional carbon monoxide detector saves you the cost and effort of having to buy and install a separate detector, while also keeping you protected from the gas that’s been dubbed ‘the silent killer’. What we love about the Nest Protect is the ability to control it via a phone or tablet. If smoke caused by normal cooking triggers the device’s alarm, there’s no need to grab the nearest stool or dishtowel to silence it. Simply open the app, tap hush and it shuts off - super convenient. The app also lets you monitor the status of your smoke and carbon monoxide detector when you’re not at home. For example, if a fire starts in your home when you’re away, you’ll instantly be notified, allowing you to intervene before disaster strikes. More than a smoke detector: Although all homes are protected against smoke and fire, many have yet to protect themselves against carbon monoxide. This tasteless and odorless gas has been linked to a number of health problems. Smart smoke sensor: Unique to the Nest Protect is its ability to sense the intensity of a fire (i.e. whether the fire poses a serious threat or not). Its split-spectrum sensor also senses dangerous fires quicker than a standard smoke detector. 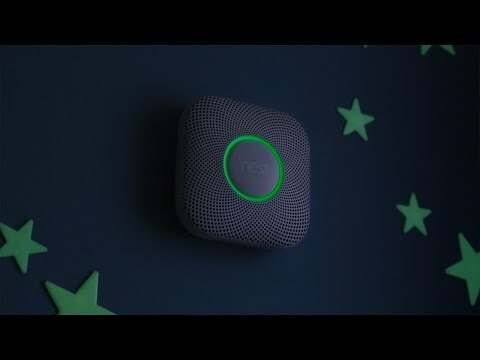 The right response: Nest Protect isn’t just able to sense the threat-level posed by smoke, it also responds appropriately to the threat it detects. If Nest Protect simply detects smoke coming from burning popcorn, it sends out a vocal alert that something is going on in the kitchen. If it detects heavy smoke, it activates its full 85 dB alarm. 400 self-tests per day: When it comes to reliability, Nest has outdone itself here. The Nest Protect performs up to 400 self-tests daily, notifying you both on the device itself and in the app if a sensor is faulty. Want to quickly shut off a false alarm? You can do this in the app! For those who prefer to do things the old-fashioned way, you can also do this manually on the device. Fact: You should check the batteries on your smoke alarm at least once a month. Many households fail to do this, which can sometimes have deadly consequences. The Nest App notifies you when it detects the batteries are low, giving you time to replace them and prevent catastrophe. You can manually test the device’s sensor within the Nest App. Just a single tap will test all the detectors in your network. The app also gives you a full report on any faults that it’s discovered in the network. Nightly Promise: The Nest Protect’s LED ring isn’t just decorative. The current color that it’s lighting up with also gives you vital information about the vital self-tests it’s run throughout out the day. A green ring means that everything has run according to plan, while a yellow ring means that some kind of action needs to be taken. This visual input makes you more likely to take action and address issues like a faulty sensor or poor Wi-Fi connectivity. Alarm silencing: Some us really don’t want to be notified about smoke caused by cooking or a fireplace, particularly when we’re in the same room and we know that there’s no danger. Included in the Nest App is the ability to totally shut off the alarm for certain threats, including all carbon monoxide alerts. Home/Away Assist: Nothing is more unpleasant than having your smoke alarm test itself in the middle of an important call or during family dinner. Using data from its motion detector, Nest Protect will to only perform its monthly alarm tests when nobody’s in the house. What to do: Nest also provide you with advice about how to react in an emergency. Included is how to safely exit your home in the event of a fire, as well as the best way to reduce carbon monoxide levels. While it’s not the prettiest app in the world, it does a great a job of making its variety of features accessible. The bare-bones is great for people who are new to app-based devices. Three dual smoke and carbon monoxide detector that can tell the difference between low-intensity and dangerous fires. Additional smart features such as home/away assists, self-testing, and vocal alerts. The combination of the early-warning system and app-based alerts make this one of the most reliable detectors out there. The Nest Protect is particularly useful to those who are away from home often. An ultra-clean design that simply looks great. Works well no matter what room it’s in. The LED ring adds a nice extra touch. The connection over Wi-Fi is encrypted according to the 802.11 b/g/n standard. A great investment when it comes to keeping your family safe from smoke, fire and carbon monoxide. Its range of smart features turn this product from a great one into an excellent one. 5.3 x 5.3 x 1.5 in. Presence sensor: 120° detection angle at 19.6 ft.
How long can I use the device for? The Nest Protects monitors your home for up to ten years. The ten-year life span is based off of the life span of its carbon monoxide detector. Is the device suitable for use outdoors? The device has been designed exclusively for interior use. It should therefore not be attached to surfaces where the temperature may fall below 39.2°F or exceed 100°F. 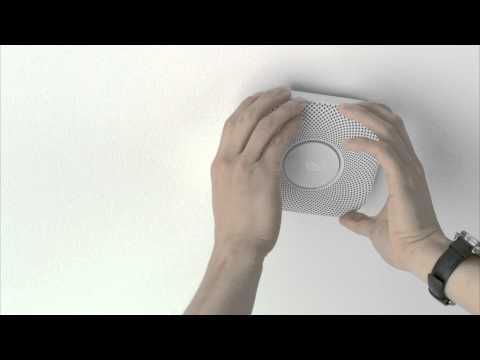 The Nest Protect has been designed for humidity conditions of between 20 and 80% (non-condensing). It is not waterproof.